/= — no where n is the number density of the atmosphere and a is a collisional cross section. Figure 4-21 shows a mean free path profile calculated from the mean density profile in Fig. 4-20 and an assumed cross section of 3 X 10"19 m2. The subject of structural variations in the atmosphere is complex and not fully understood. Variations in the density may be divided into six types: Diurnal, 27-day, seasonal-latitudinal, semiannual, 11-year, and geomagnetic. Diurnal variations are those related to local time, or, more generally, to the zenith angle of the Sun. The 27-day variation is a result of the rotation of the Sun, and the 11-year variation is a result of the 11-year cycle of solar activity. Geomagnetic variations are due to short-term changes in solar activity (as a result of a flare, for example). The variations in the Earth's magnetic field are used as a measure of this type of solar activity. The semiannual and seasonal-latitudinal variations are only partially solar related and are not well understood. In the thermosphere, the 11-year variation in density is the largest, amounting to order-of-magnitude fluctuations at 350 km. The 27-day and semiannual variations cause density fluctuations by a factor of perhaps 2 or 3, and the other types cause smaller ones. At lower altitudes, the seasonal-latitudinal variations become predominant. Various parameters are used to describe the variations in the atmosphere, in particular, geomagnetic activity indices and solar activity indices. These are tabulated in the Solar-Geophysical Data series published monthly by the National Oceanic and Atmospheric Administration. Fig. 4-21. Mean Free Path of Atmospheric Molecules as a Function of Altitude insufficient data for a purely empirical model and because the physical processes are not well enough understood to construct an entirely theoretical model. A number of published models are appropriate for attitude use. Those published under the auspices of the Committee on Space Research of the International Council of Scientific Unions (COSPAR) find wide use in atmospheric science and should be considered first. The current version is the COSPAR International Reference Atmosphere 1972  (known as CIRA 72). The CIRA 72 model covers the altitude range of 25 km to 2500 km, and includes detailed modeling of the variations mentioned in the previous section. The model below 110 km is the work of Groves , and the model above 90 km, the area of primary interest for spacecraft, is the work of Jacchia . The Jacchia portion of the model, called J71, is characterized by constant temperature and density at 90 km, analytical temperature profiles (the independent variable being exospheric temperature) and an analytical, fixed, mean molecular weight profile between 90 and 105 km. The density is determined by integration of the static (i.e., time independent) diffusion equations from the lower boundary at 90 km up to 2500 km. The variations in the atmosphere are introduced primarily via the exospheric temperature. This model was constructed to minimize residuals between the density predictions of the model and the densities determined from analysis of the effects of atmospheric drag on the orbits of many satellites. Earlier Jacchia versions of 1970 [Jacchia, 1970] and 1964 [Jacchia, 1964] have been used as the basis for some analytical models, in particular those of Roberts  and Weidner, et al., . The latter is known as the NASA Monograph model. Following Walker , Roberts modified Jacchia's temperature profiles So that the diffusion equations would become exact differentials, giving an analytical expression for the density. The resulting densities differ from J70 by less than 5 percent and are thus adequate for attitude work. The NASA monograph model is similar to Roberts model but is based, instead, on J64. The significant difference between J70 and CIRA 72 is in the 0/02 ratios; there are only small changes in the total density, so that the Roberts model is a reasonable approximation of CIRA 72. Note that Jacchia made some changes in the formulation of the variations, so that the same procedures are not followed between J70 and CIRA 72. In the J64 model, the lower boundary was taken at 120 km, and thus the densities below 150 km and perhaps below 200 km are erroneous. Other models of interest include CIRA 65 , the U.S. Standard Atmosphere, 1962  and supplements, 1966 , and the U.S. Standard Atmosphere, 1976 . CIRA 65 is based on Harris and Priester . This is a time-dependent diffusion model which is better in principle than a static diffusion model but worse in practice because of the volume of tables necessary to describe the results. In addition, the tables are given for only one latitude, and there is no simple way to account for the variations, as is done in CIRA 72. The U.S. Standard atmospheres 1962 and 1976 are mean atmospheres only, and the supplement of 1966 basically J64, and thus suffer from the defect of too high a lower boundary altitude. 2. Bates, Jerry C., David S. Hanson, Fred B. House, Robert O'B. Carpenter, and John C. Gille, The Synthesis of 15p Infrared Horizon Radiance Profiles From Meteorological Data Inputs, NASA CR-724, 1967. 3. COSPAR Working Group IV, COS PAR International Reference Atmosphere. Amsterdam: North Holland, 1965. 4. -, COSPAR International Reference Atmosphere. Berlin: AkademieVerlag, 1972. 5. Craig, R. A., The Upper Atmosphere-Meteorology and Physics. New York: Academic Press, 1965. 6. Dodgen, John A., and Howard J. Curfman, Jr., "Accuracy of IR Horizon Sensors as Affected by Atmospheric Considerations," Proceedings of the Symposium on Spacecraft Attitude Determination, Sept. 30, Oct. 1-2, 1969, SAMSO-TR-69-417, Vol. 1, p. 161-168, Dec. 1969. 7. Groves, G. V., Seasonal and Latitudinal Models of Atmospheric Temperature, Pressure, and Density, 25 to HO km. Air Force Cambridge Research Laboratories Report 70-0261, 1970. 8. Harris, I. and W. Priester, "Time Dependent Structure of the Upper Atmosphere," J. of Atmospheric Sc., Vol. 19, p. 286-301, 1962. 9. Hays, P. B. and J. J. Olivero, "Carbon Dioxide and Monoxide Above the Troposphere," Planetary and Space Science, Vol. 18, p. 1729-1733, 1970. 10. Howard, John N., John S. Garing, and Russell G. Walker, "Transmission and Detection of Infrared Radiation," Handbook of Geophysics and Space Environments (S. Valley, ed.). New York: McGraw-Hill, Inc., 1965. Proceedings of the Sixteenth General Assembly, Grenoble 1976. Dordrecht, Holland: D. Reidel Publishing Co., 1977. 12. Jacchia, L. G., Static Diffusion Models of the Upper Atmosphere With Empirical Temperature Profiles, SAO Special Report 170, 1964. Temperature Profiles, SAO Special Report 313, 1970. 14. --, Revised Static Models of the Thermosphere and Exosphere With Empirical Temperature Profiles, SAO Special Report 332, 1971. 15. Langmaier, J. K., Techniques for Defining the Position of the Earth's Horizon for Attitude Sensing Purposes, Ithaco, Inc., Report No. 90370 (File: 10-2565), May 1972. 16. Lerner, G., D. Headrick, and R. Williams, Lunar RAE Spacecraft Dynamics Verification Study, Comp. Sc. Corp., CSC/TM-75/6174, Aug. 1975. 17. Lyle, Robert, James Leach, and Lester Shubin, Earth Albedo and Emitted Radiation, NASA SP-8067, July 1971. 18. McKee, Thomas B., Ruth I. Whitman, and Richard E. Davis, Infrared Horizon Profiles for Summer Conditions From Project Scanner, NASA TN D-4741, Aug. 1968. 19. Mitra, S. K., The Upper Atmosphere. Calcutta: The Asiatic Society, First Edition, 1947, Second Edition, 1952. 20. Phenneger, M. C., C. Manders, and C. B. Spence, Jr., Infrared Horizon Scanner Attitude Data Error Analysis for SEASAT-A, Comp. Sc. Corp., CSC/TM-77/6064, July 1977a. 21. Phenneger, M. C., C. Manders, C. B. Spense, Jr., M. Levitas, and G. M. Lerner, "Infrared Horizon Scanner Attitude Data Error Analysis for SEASAT-A," paper presented at the GSFC Flight Mechanics/Estimation Theory Symposium, Oct. 17 and 18, 1977b. 22. Ratcliffe, J. A. (ed. ), Physics of the Upper Atmosphere. New York: Academic Press, 1960. 23. 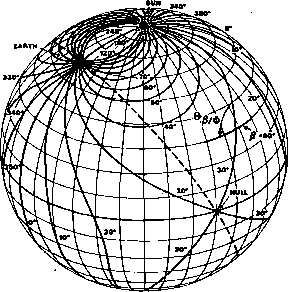 Roberts, C. E., "An Analytic Model for Upper Atmosphere Densities Based on Jacchia's 1970 Models," Celestial Mechanics, Vol. 4, p. 368-377, 1971. 24. Thomas, John R., Ennis E. Jones, Robert O'B. Carpenter, and George Ohring, The Analysis of 15p. Infrared Horizon Radiance Profile Variations Over a Range of Meteorological, Geographical, and Seasonal Conditions, NASA CR-725, April 1967a. 25. Thomas, John R., Derivation and Statistical Comparison of Various Analytical Techniques Which Define the Location of Reference Horizons in the Earth's Horizon Radiance Profile, GSFC, NASA CR-726, April 1967b. 26. United States Committee on Extension to the Standard Atmosphere, U.S. Standard Atmosphere. Washington: U.S. G.P.O., 1962.